Description: An orange and green version of the Celtic Mermaid Mandala. 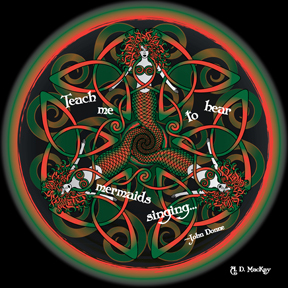 The words of John Donne's song float along with the mermaids' ethereal melody. Stop for just a moment, and listen, just for a breath or two. Can you hear them singing?